Rob was commissioned to complete this piece for the “Hearts A Bluhm” public art project through Columbia College and Northwestern Memorial Hospital. 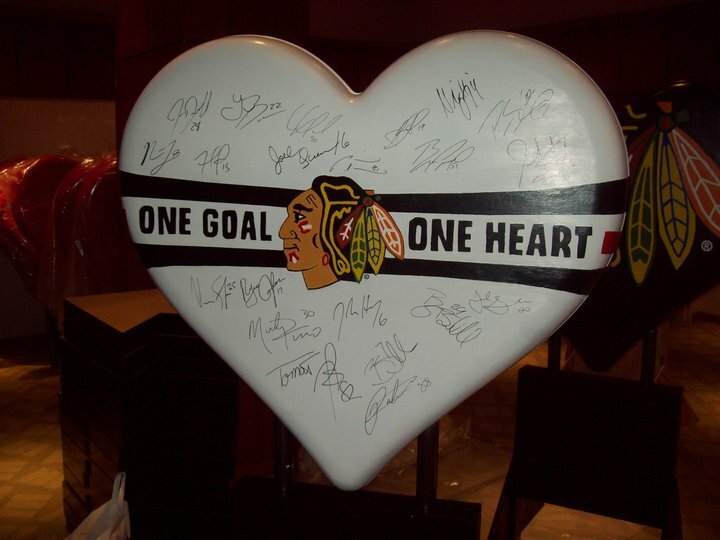 The image shows the finished work with the 2011 Chicago Blackhawks signatures. The piece was sold for a $20,000 donation.